PARKING space for 14 B-doubles has been included into an $18.5 million overhaul of the Waverley Creek Rest Area near St Lawrence. The major refurbishment of the rest area on the Bruce Hwy about 11 kilometres south of St Lawrence has been completed in time for the start of the summer holidays. 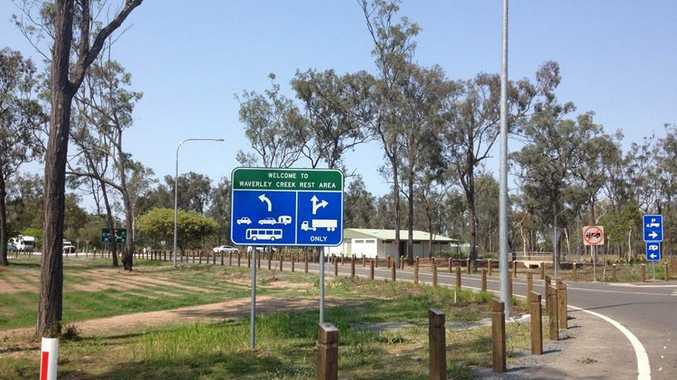 Minister for Infrastructure and Investment Anthony Albanese said the spot located at the halfway point between Mackay and Rockhampton was an ideal place where holiday-makers as well as regular highway users could pull over to take a break or catch up on sleep. From mid-December it will operate as a Driver Reviver site. The fully-Federally funded upgrade included the facility's toilets, lighting and road surface. In a statement Mr Albanese also said the government had started repairing 26 kilometres of highway at three separate locations between Granite Creek and Freshwater Creek, with this remaining element of the project on track to be completed next year. "These works are part of Federal Labor's unprecedented $2.8 billion capital works program that's currently being rolled out along the entire length of the Bruce Hwy and which includes the construction of 20 new rest stops and the upgrade of a further nine existing ones. "Indeed, compared to the record of the former Howard Government, we're investing more than twice as much in half the time," the minister said.